The track was built in 1924 and was known as the News of the World Sports Club Running Track as it is was on their sports ground. The first track manager was the famous runner Walter George. In 1940 a relay race took place on the track which was interrupted by an air-raid! Mitcham AC (now Sutton & District AC) were based at the track until the early 1960s when they moved to what is now Sutton Arena in Carshalton. Some international athletes who trained at the track included high-jumper Dorothy Tyler (nee Odam), Jennifer Pawsey (nee Taylor), long-jumper Jennette Towel (nee Neil), sprinter Jill Bamborough (nee Hall) and middle-distance runner Ann Smith. 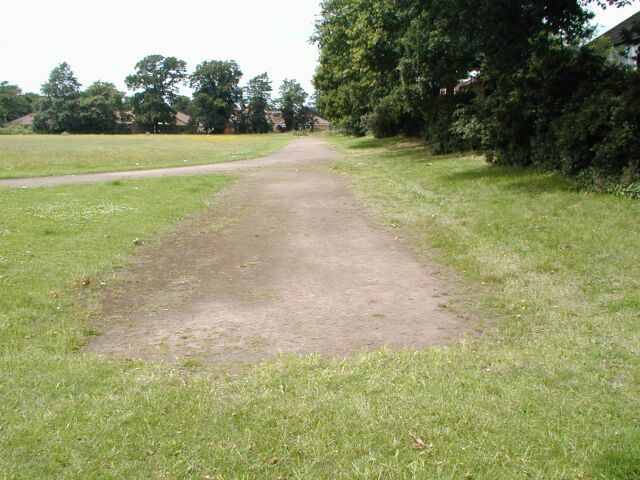 The track was bought by Merton Council by the early 1970s for use by schools but is now in poor condition, the 5th lane is largely overgrown and obviously disused. The track appears to be 5 laps to the mile although have also heard that it is either 408 or 416 yards. The position of the SC water jump can be seen but the pit has been grassed over and the barrier removed.